As the table below, which is based on data from ATTOM Data Research, shows, all of the counties reported on in the State of Missouri saw home affordability decline during the 3rd quarter with the exception of Jackson County (Kansas City). 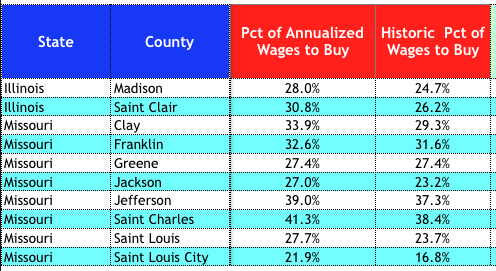 All of the counties had a decline in home affordability from a year ago with St Louis County seeing the biggest decline at 11%. In St Charles County, home buyers spend, on average, 41.3% of their income to buy a home, the highest percentage of the reported counties in Missouri. 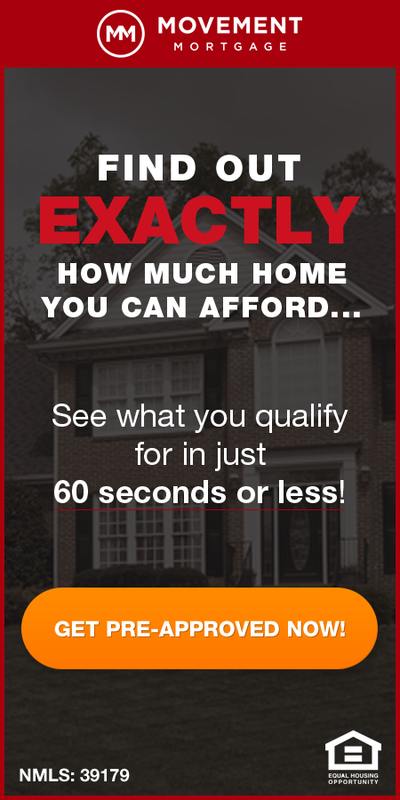 In the city of St Louis, the percentage of income spent on housing was just 21.9%.